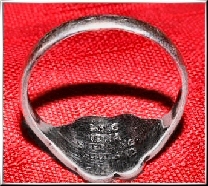 Subsequently, Iain MacCormick left C.A.I to pursue his own individual career as a silversmith. 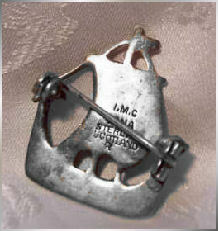 Iain MacCormick's mark on a 1950s penannular brooch, showing his initials, IONA, and Sterling, Scotland. 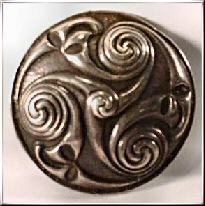 Finely executed silver spirals brooch by Iain MacCormick, early 1950s. 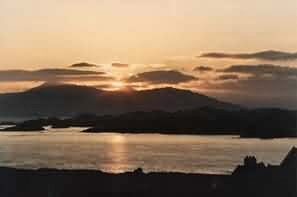 Marks are IMC and Iona, Sterling, Scotland. 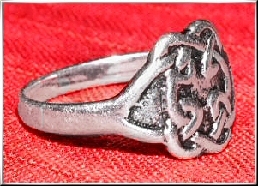 Silver finger ring with knotwork design by Iain MacCormick, early 1950s. Marks are IMC and Iona, Sterling, Scotland. 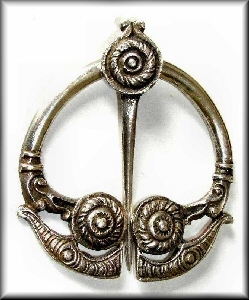 Large penannular brooch by Iain MacCormick, from an Alexander Ritchie design. Early 1950s. 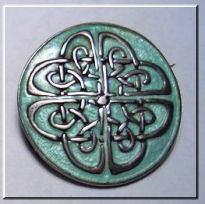 Reverse marks are IMC and Iona, Sterling, Scotland. 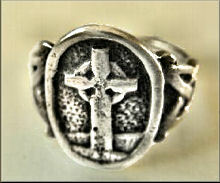 Unusual silver finger ring by Iain MacCormick, with knotwork panels surrounding a central depiction of the cross known as St Columba's Pillow. Markings are IMC, IONA Sterling. Date c.1950. Two finely-made silver and enamel brooches by Iain MacCormick. Both approximately 3cms diameter. 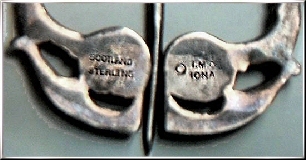 Reverses have the marks 'IMC - Scotland - Sterling', and 'IMC - Iona - Sterling'. No assayer's marks. 1950s/60s. 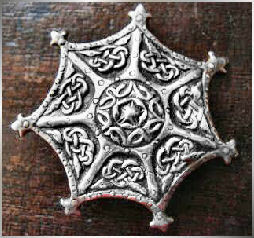 Silver Iona St John's Cross pendant by Iain MacCormick. Detailed workmanship, and a continuation of an Alexander Ritchie version of the same cross. 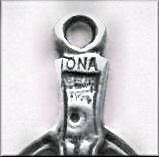 Marks are IMC and IONA. 1950s period. 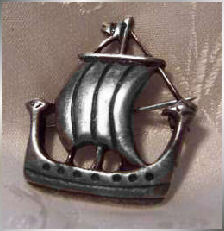 Attractive silver Viking ship brooch by Iain MacCormick, based on an earlier Alexander Ritchie design. 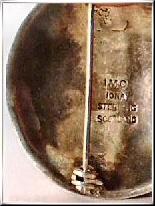 Marks are 'IMC - Iona - Sterling - Scotland'. c.1950. 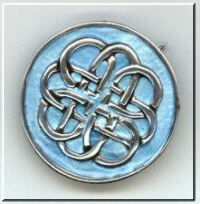 Unusual shaped silver brooch by Iain MacCormick, based on an Alexander Ritchie design. 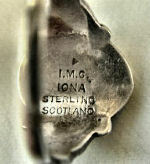 Reverse is marked IMC -Iona - Sterling. c.1950.